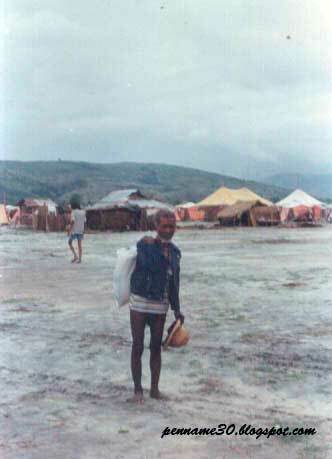 I met the elderly man while covering a food relief effort in Zambales in 1992. The old man and his family were one of thousands of people left homeless by the eruption of Mt. Pinatubo in June 1991. Mt. Pinatubo eruption is considered as the second largest volcanic eruption of the 20th century. It erupted after being dormant for 500 years. Mt. Pinatubo is located in Luzon about 90 kilometers or 55 miles northwest of Manila. I got this photo from my other blog while searching for information about izotope. This entry was posted in Places and tagged 20 years of Mt Pinatubo eruption, displaced people, homeless people, Mt. Pinatubo eruption on August 27, 2015 by Yami.